Top Tier Baseball's instructional programs provide family centered baseball coaching, athletic training, and academic guidance for student athletes, parents, and coaches from the youth level through the college level. We build individual player confidence and enable families to get the most out of their baseball experiences by teaching mental and physical concepts that are essential for long term player development and day-to-day enjoyment of the game. Our programs equip teams and leagues with the skills and knowledge they need to become more competitive while providing a more positive, enjoyable, and constructive environment for their athletes and the families that support them. During his 4 years in Chicago's organization Ben earned the Cubs' Most Valuable Player awards during their 1999 Instructional League and again during their 2000 Spring Training. While playing in Lansing, MI in 2000 Ben led the entire Cubs' system in stolen bases (54) and was named the Midwest League's "Fastest Baserunner" by Baseball America. 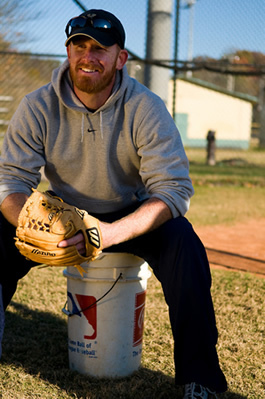 In 2008 Ben established Top Tier Baseball, LLC. Through Top Tier Baseball's instructional programs players, coaches, and parents can develop skills, build confidence, and become true students of the game. 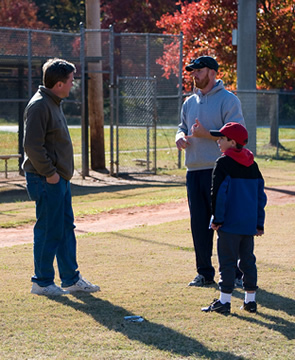 Copyright © 2019 Top Tier Baseball – Atlanta Youth Baseball Instruction - Family centered baseball coaching, athletic training, and academic guidance.